I try to use the word perfect carefully. It's an absolute and my absolutes most certainly won't match up with your absolutes. But when it comes to scallops, I will drop that word left and freaking right. They are perfect - a utopian food. I mean that so much so that I'd even capitalize, bold and italicize the word for emphasis. I wish I had some grand story to take you back to the first time I had them but truth be told, it wasn't love at first taste. 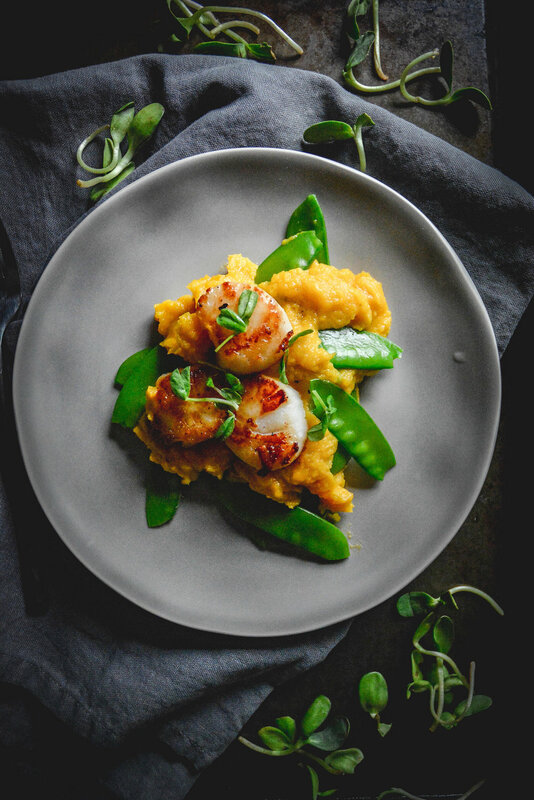 Scallops are a scrupulous food. Pair them with the wrong ingredients and the whole dish flops. My first encounter with scallops was mehhh. I liked them fine, but it wasn't a divine experience by any means. 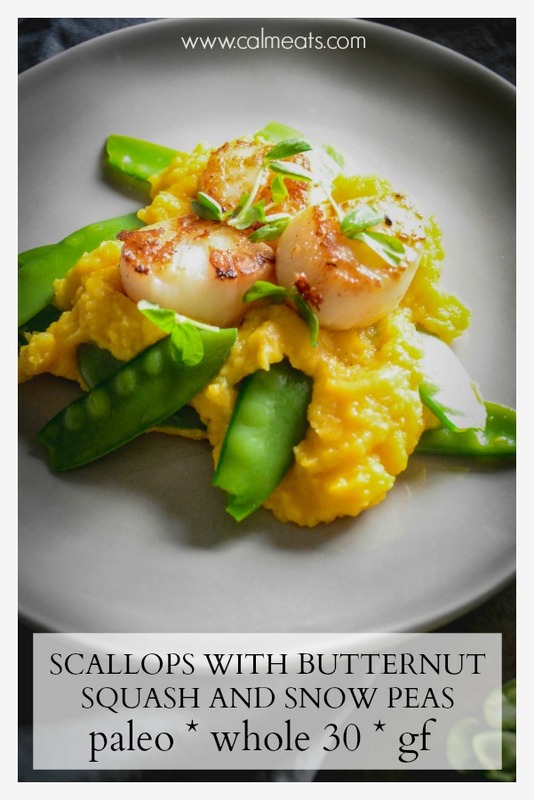 But over the years as I've taken it in my own hands to make them at home, I realized that scallops are goddess like. They need to stand on their own and every other ingredient paired with them has to in some way compliment but not take anything away otherwise you'll be sorry. Evidently I'm in a mythological mood but scallops do that to me. They really hold eminence over other food. They are on the expensive side and unquestionably not an every day food. But on those occasions when I make them, I appreciate every step of the cooking and eating process. 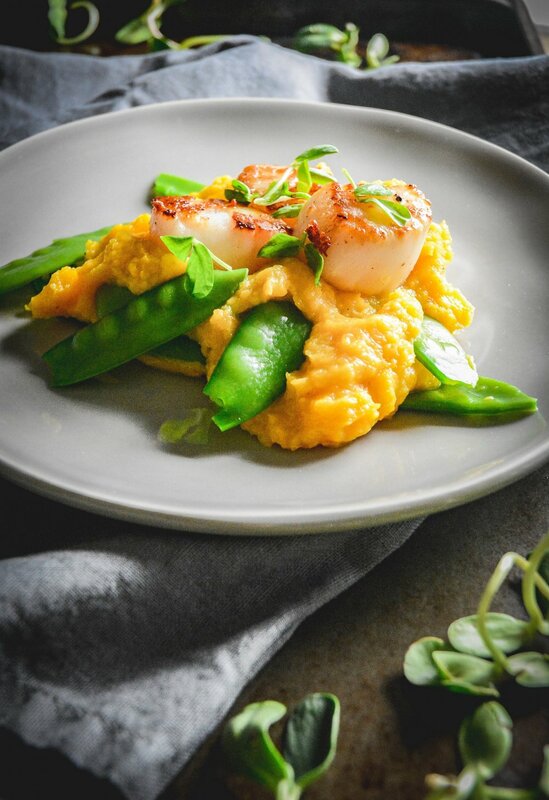 For this dish, in order to not take anything nothing away from the scallops but compliment or even elevate them, I decided to go with a butternut squash puree and snow peas. The combination is euphoric! If you want to take this whole dish to an orgasmic level, I recommend pairing it with a Picpoul, Dry Riesling, Chablis or Sancerre. You are welcome! Pre-heat oven to 400 degrees. Line baking sheet with parchment paper and spread cut squash into an even layer. Combine with extra virgin olive oil and sprinkle with 1/2 tsp salt and 1/4 tsp pepper. Mix well and roast for 25-30 minutes ensuring that you toss the squash from time to time. Rinse scallops and pat dry with paper towels (This step is important otherwise you'll end up with excess water in the pan). Season both sides pf the scallops with salt and pepper and set aside. 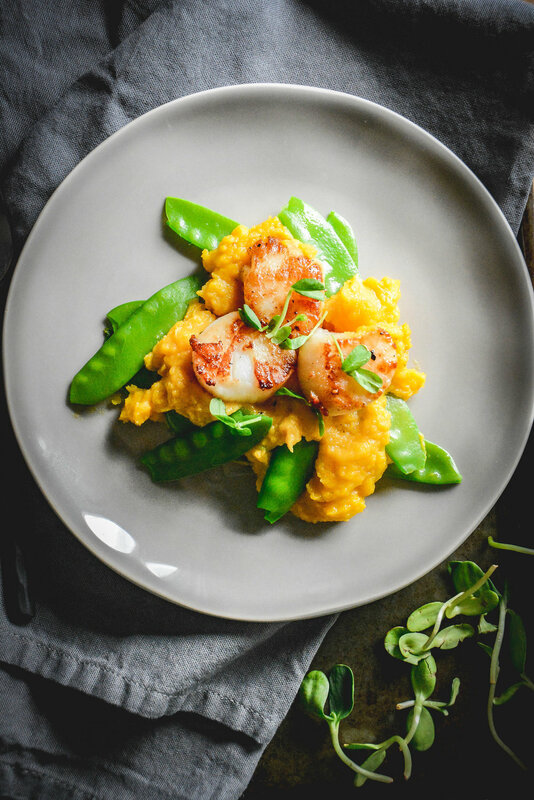 Once butternut squash is fork tender, transfer to a food processor along with vanilla, almond or cashew milk and a pinch of salt and puree until creamy. 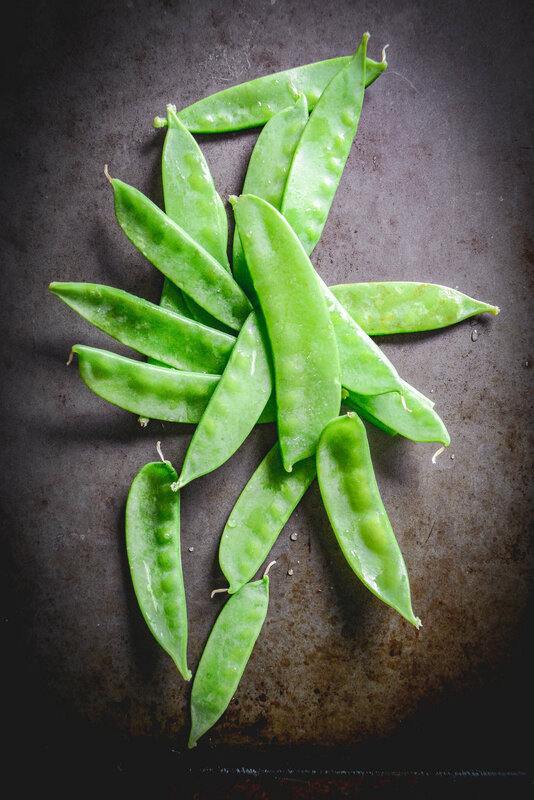 Meanwhile, trim your snow peas and add them to sauce pan along with water. Steam for about 5 minutes, drain and return to pan along with 1 tsp extra virgin olive oil, salt, pepper and cover keep warm. Pre-heat cast iron pan over medium-high heat, add ghee and scallops and cook for 3-4 minutes per side, depending how well you like your scallops cooked. Near the end, add lemon juice and cook for another minute. 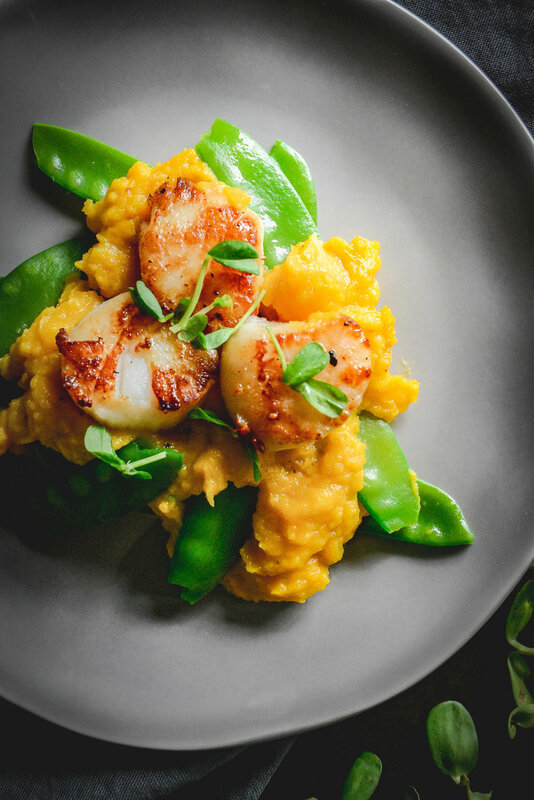 To assemble, layer the snow peas, squash puree and scallops. You can top with micro greens if you want it extra pretty.